Often when the world thinks of successful magazines its first mental vision are of titles such as Cosmopolitan, People or Better Homes & Gardens. Granted, those are all very prestigious and popular magazines and certainly can be described as successful. But there is an entire category of print publications that is often overlooked by the industry and the consumer when it comes to thinking about profitability and being extremely lucrative. The puzzle category is one that has been an audience favorite for many, many years and in actuality has seen more interaction with the consumer than any digital site or app ever created. 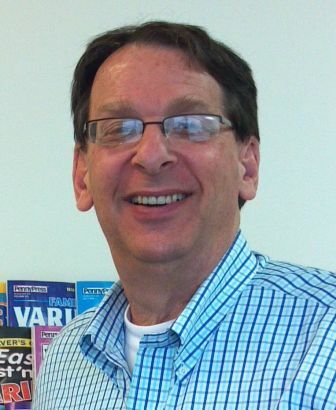 Bruce Sherbow is Senior Vice President of Penny Publications, the reigning queen of all things “puzzling.” I reached out to Bruce recently to find out more about the category and all its retail and distributive proponents. The conversation was both interesting and very informative. From discussing the future of Penny print to the digital realms of puzzle mania, Bruce remains focused on one thing: providing the best in puzzle entertainment to the consumer and making it as comfortable and easy as possible to implement that goal for the buying public. So sit back, grab a pencil and your favorite Penny Publications Crossword and follow the clues as you solve any questions you might have about the puzzle category with the Mr. Magazine™ interview with Bruce Sherbow, Senior Vice President, Penny Publications. 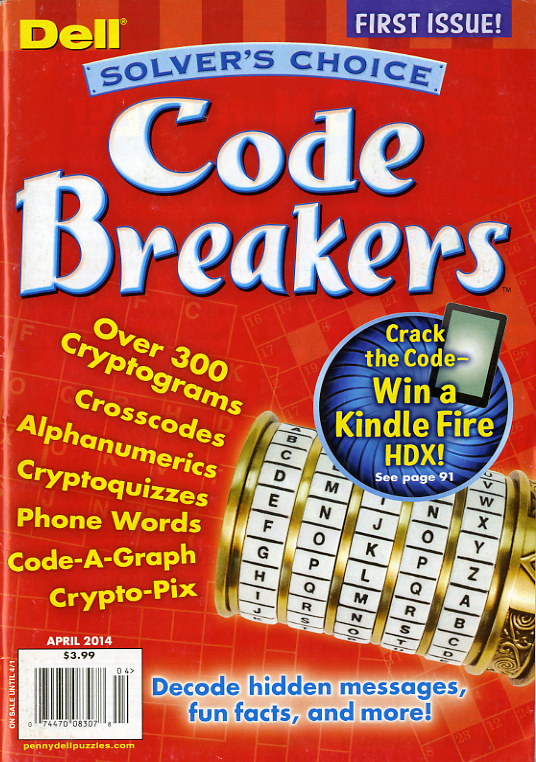 On the well-kept secret of the puzzle category: It is an interesting category and I think generally speaking, people who are not intimately involved with puzzle magazines, in one way or another, think of them as interchangeable; crosswords is a big melting pot term that’s used. On Penny Publications being the major player on the puzzle field: In 1996 we purchased Dell Magazines and we combined those lines and now we have about 62% of the North American retail market in puzzle magazines. 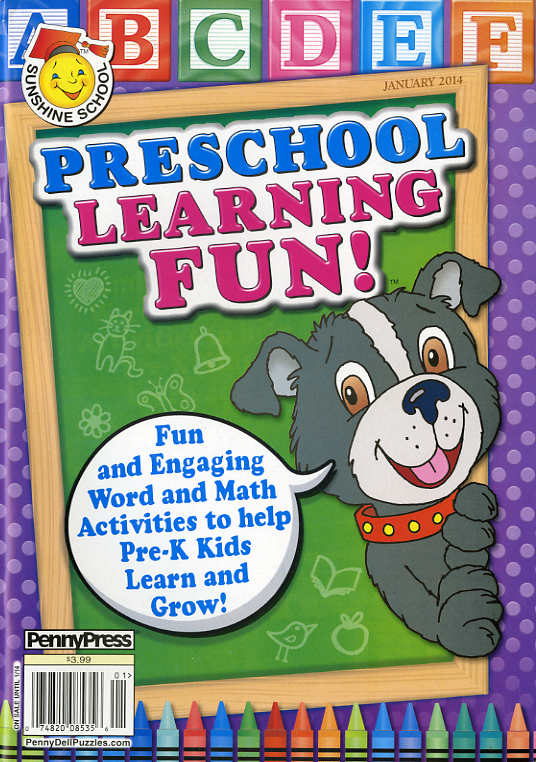 On why Penny Publications brought Sunshine School to the print marketplace: This particular line, Sunshine School, was formed in a conversation with Wal-Mart. They were looking for something in the way of a periodical-type of magazine that had a lot of worksheets that you find in books that maybe change once or twice a year. On the impact, or lack of, that digital has had on their print products: It’s not very easy to measure that. We think that our print customer is a little bit of a different person. On his biggest stumbling block: Our biggest stumbling block is probably along the same lines as every publisher on the newsstands today and that’s just the disruptions that are going on in the marketplace and in our channel and the difficulty in getting copies where they need to be. On his most pleasant surprise: It’s a great business. The newsstand business and I’m not just talking puzzles now, I’ve been in puzzles for the last 15 years, but the newsstand business is tremendous. On what publishers can do to help retailers: I think that we need a continual education program in this business with retailers and I think at the highest levels we can and down from there. On what keeps him up at night: I think a lot about some of the things we’ve talked about, especially educating the retailer about the category and also about trying to work with wholesalers on merchandising aspects at the fixture to make sure the products are displayed correctly. Samir Husni: The whole puzzle category has been almost like the little secret of the industry, nobody really talks about it, yet it takes up a big chunk of the newsstands with so many titles. Tell me a little bit more about the category. Bruce Sherbow: It is an interesting category and I think generally speaking, people who are not intimately involved with puzzle magazines, in one way or another, think of them as interchangeable; crosswords is a big melting pot term that’s used. 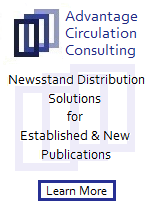 In fact, there are really six different categories within the actual puzzle magazine publishing industry. 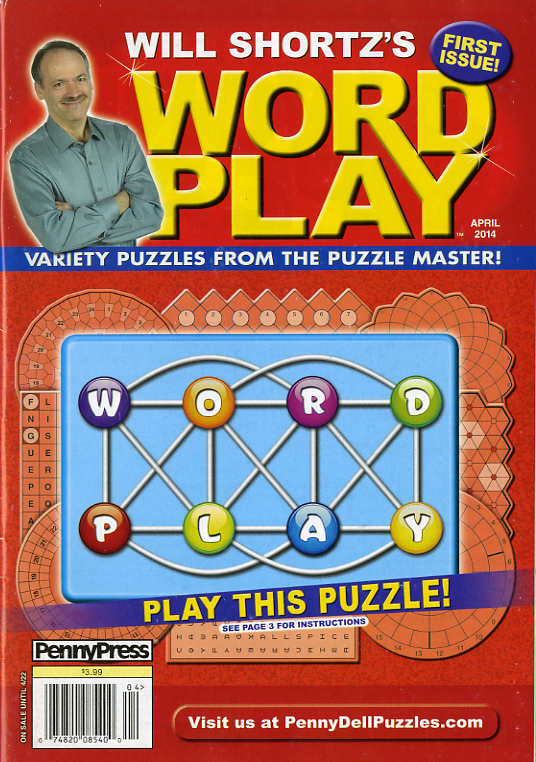 The largest segment on the newsstands today is Word Seeks and Word Searches and that’s about 40% of the category. And then Crosswords follow that with about 22%. Of course, a phenomenon that everyone is aware of is Sudoku, which came into real mass awareness about six years ago and had a zero part of the category then and now has settled in at about 11 or 12% and at its heyday probably got up to about 20%. So there is a lot of variance there. And Sudoku is also interesting because where most of the other categories within puzzles show the demographics to be older and female; Sudoku is all over the board: young, old, male and female. Everybody likes Sudoku. There is a lot of education that we have tried to do over the years with retailers and wholesalers about the category, so that there is some distinction between the different kinds of products and how they should be displayed. For instance, generally speaking, puzzles are displayed on the lower tier of a magazine fixture around comics or teen titles, when really they should be displayed more in the middle so that some of the demographic, our older customers, don’t have to bend down to the ground and try and get what they’re looking for. These are just some things that we try and educate people on. Samir Husni: We used to have so many different publishing groups that published the puzzle magazines and now technically we have one major player in the field: Penny Publications. Bruce Sherbow: Yes, we had Harris Publications and Dell Magazines at one time. Dell was our largest competitor when we were Penny Press. 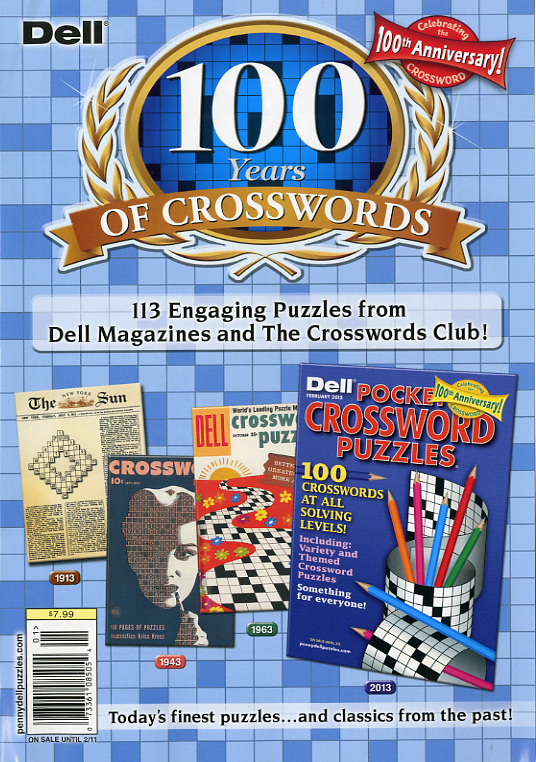 And in 1996 we purchased Dell Magazines and we combined those lines and now we have about 62% of the North American retail market in puzzle magazines. Samir Husni: And you keep on expanding. Late last year and early this year you launched a new line: the Sunshine School aimed at children – Kindergarten and First Grade. So in the midst of this entire digital environment; why are you bringing more print titles to the marketplace and specifically for children? Bruce Sherbow: This particular line, Sunshine School, was formed in a conversation with Wal-Mart. They were looking for something in the way of a periodical-type of magazine that had a lot of worksheets that you find in books that maybe change once or twice a year. Wal-Mart was looking for something a little fresher, such as each month or with a higher frequency so that’s why we started this line. 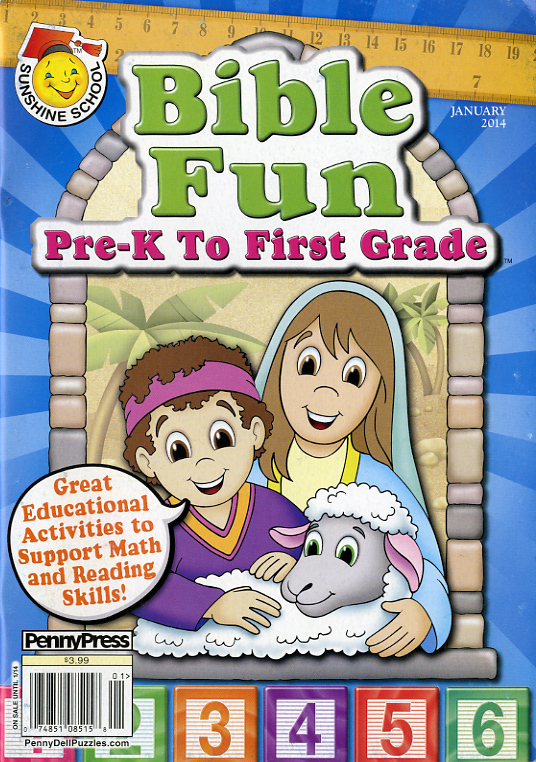 We’ve also had in the past a license with Nickelodeon where for a number of years we had a children’s magazine, so this was an opportunity for us to really provide a high-quality, four-color type of product to compete with the book-type of worksheets. And you know puzzles are more black and white, so it’s easier for consumers to work on a pulp-type of stock page, but with this we wanted something that certainly competed with some of the higher-quality color products. It’s just launching; we’re now quarterly. And we’re looking forward to some good returns on it. Samir Husni: What was the impact of digital on your products? Have you seen your sales in the majority of the puzzle magazines plummet or you’re keeping your status quo in the marketplace? I do hear people saying: let’s do some Sudoku on my tablet or my iPad; did you see any tangible impact on your print puzzle magazines? Now you’re talking more specifically about mobile. 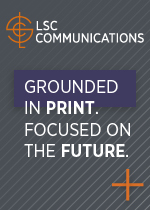 We just haven’t seen a measurable move from print over to mobile. We do know that there are lots of people playing those kinds of games and perhaps they’re skewing a little younger than our print customer, but we actually have Crossword, Word Seek and Sudoku apps in the marketplace and in the app stores, such as Amazon. But we’re not seeing a lot of crossover there. Samir Husni: One of the most unadvertised features of the industry is the fact that puzzle magazines have always been an interactive publication; you don’t just buy it to look at the pictures. And yet we surrendered those terms like “interactive” to the new technology; you rarely hear anyone in the magazine media industry describing a print magazine as being interactive with the audience. Yet puzzle magazines have always been the leaders of that interactivity; why do you think that the magazine media business has surrendered a lot of the great characteristics of print to digital technology? Bruce Sherbow: I think that it’s certainly a lot easier for a consumer to get in their mindset a celebrity-type of information or fashion information, cooking information, which is also a hot print category now too: food and cooking, but it’s also easy for the consumer to pull up a recipe online or put it on their tablet while they’re in the kitchen cooking. A lot of people find it convenient to go online daily and see what the celebrities are up to as well. But I think that the real impact with the printed material is that the magazines, for example with the untimely deaths of Robin Williams and Joan Rivers, the print magazines showed what they really could do within a matter of days when it came to getting information out in a printed format to the streets. But on a regular basis I think people might be tending to gravitate toward the Internet for current information whereas with puzzles we’re really finding that people like to carry them around and have that piece of paper with them and work on it when they can. Of course, we’re not blind to the fact that the app side of it is a growing side of the business. And we’re certainly there to try and capture what we can. But right now it’s a little bit different customer, we think. That could change as some of our older print customers die off, quite frankly, and a younger generation that’s now maybe teenaged and has grown up with interactivity and all the technology, who might discover puzzles and find them attractive, that demographic could gravitate more toward online. Samir Husni: What has been your biggest stumbling block when it comes to all the titles that you have? Bruce Sherbow: Our biggest stumbling block is probably along the same lines as every publisher on the newsstands today and that’s just the disruptions that are going on in the marketplace and in our channel and the difficulty in getting copies where they need to be, when they need to be there and on a regular continuing basis. I’ve been in this business for over forty years and 28 or 30 of those years has been as a wholesaler, so I understand certainly the other side, but hopefully when the dust settles on some of the disruption, we’ll be able to really, and when I say “we” I mean the channel or the industry, we’ll be able to focus on getting back to basics, because to me that’s the biggest stumbling block right now. I mean, we can print the copies and we can ship the copies, but with what the wholesalers are going through right now and the infrastructures that have to be created for all this new business, the key is to get it merchandised well. And I think too that a lot of retailers have over the years, because of the DSD (Direct Store Delivery) nature of our business, not taken enough responsibility once the product enters their store and certainly with SBT (Scanned-Based Trading) they take even less responsibility. 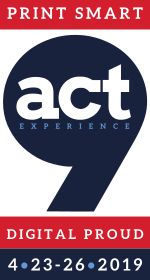 It would be great if we could as an industry educate retailers about how important it is to check their check-outs, to check their mainlines and make sure at the end of the day, when it’s all a mess, it gets straightened. It’s just like bottles of shampoo or cans of beans; they have got to be visible in order to be sold. I believe that’s a big stumbling block right now for our business. Samir Husni: And what has been the most pleasant surprise that you’ve experienced in your 40+ years in the business? Bruce Sherbow: It’s a great business. The newsstand business and I’m not just talking puzzles now, I’ve been in puzzles for the last 15 years, but the newsstand business is tremendous. We get a lot of information out to people on a very timely basis and there are not a lot of other industries and I’m not talking on the technology side, but on the bricks and mortar side, that can move that quickly and be that nimble. And I think that that is really key for us when it comes to maintaining a growing business, as long as we educate our retailers about that. But I think it’s a great channel. Samir Husni: And now in your responsibility also with the Periodical and Book Association of America; do you think that we can do anything as magazine publishers to help retailers? And do you think retailers understand the value of the printed magazines today or are we devaluing our own publications? Bruce Sherbow: I think that we need a continual education program in this business with retailers and I think at the highest levels we can and down from there. Jerry Lynch just gave a great little summary of the Willard Bishop latest study, I won’t go into those details, but magazines are very, very important to retailers. The magazine-buyer within a location represents 32% of sales in that store. So the magazine-buyer is very important. It’s a very profitable picture for the retailers, but because we as a channel do so much work for that retailer that they don’t have to do anything, it’s kind of an unknown, invisible little area, I think that is the cause of some of the troubles this industry has had in terms of declining sales and weakening infrastructure. I think retailers tend to get tired of hearing some of the negativity and I think that we need to educate them. But what can we do and what can PBAA do? I’m hopeful that as an industry group perhaps that we can come together as a group and speak with one voice to retailers and let them know how important it is in real numbers and what it does for their sales of other products in their stores. And also I’d like to be able to see a group work with the wholesale magazine distributors on merchandising concepts. I’m not talking about fancy new racks and those types of things; I’m talking about the basics. How can we as an industry create a check-list or something so that we all know what’s expected when that merchandiser gets in the store; what are they going to do and how are they going to do it? And there are a lot of people who are in retail stores every day who are in our industry and if they had a check-list that they could look at a magazine fixture as they’re working in that store and then give feedback, I think that we could correct a lot of the problems, because again, we have got to have that merchandising correct so that it can be seen by consumers. Samir Husni: Some retailers that I have spoken with have told me that the magazine industry is one that is digging its own grave. Every time I pick up a newspaper or read an interview with an industry leader all they ever say is that the future is digital. Why should we help? If they don’t believe in their own futures, why should we be involved? Bruce Sherbow: I can understand that feeling because there has been a lot of doom and gloom being professed by trade publications. There is no question that sales have been on a downward trend for lots of reasons and I think some of those reasons have nothing to do with our business, it has to do with the economy and other things in general, but we also have titles that we publish digitally. When we bought Dell Magazines we acquired Ellery Queen Mystery Magazine, Alfred Hitchcock, Asimov’s, Analog and Horoscope Magazine and those are titles that are a heavy subscription base, not really a newsstand base except in bookstores. And then about five years ago we started digital publishing these and it was a great business for those titles. But it’s also now plateaued out. Part of that reason, and I was in a meeting recently in New York where this suggestion was made as to the reason why they plateaued, five or six years ago the digital publishing was a kind of new concept and a lot of people wanted to try it out, tablets and readers were a bit newer, people would move over from the printed side to digital. But now it’s plateauing and people who have decided that they’d rather have digital are already there, people who have tried it but don’t like it are back to print and are staying there and there is not a lot of excitement anymore about the hardware or software that is associated right now with digital publishing. So I don’t think that digital publishing is in fact going to take away or be the demise of all print, but I’m also not blind, because I know certainly there are advantages to some degree of interactivity, we talked about that a little bit. If you’re online reading a fashion magazine you can click a link and go see a video of someone wearing the fashion or something like that. But there are also some interesting things happening in print which are more interactive, but we’re not a magazine that engages in a lot of the new technology with advertising, so I can’t comment fully on that, but there is some happening. But I don’t think digital will be the demise of print at all, in fact, I don’t know why we keep talking about the death of print because I don’t think it’s happening. Bruce Sherbow: That’s a good question. There is no single thing that keeps me up; this has been a great business the entire time I’ve been in it. We’re going through some challenges; there is no question about that. But at certain times things keep me awake, like in March and April with the confusion about Source Interlink. Things like that keep me awake. And I think a lot about some of the things we’ve talked about, especially educating the retailer about the category and also about trying to work with wholesalers on merchandising aspects at the fixture to make sure the products are displayed correctly. Those are the things that I think about a lot and certainly wanting to stay engaged with our audience.